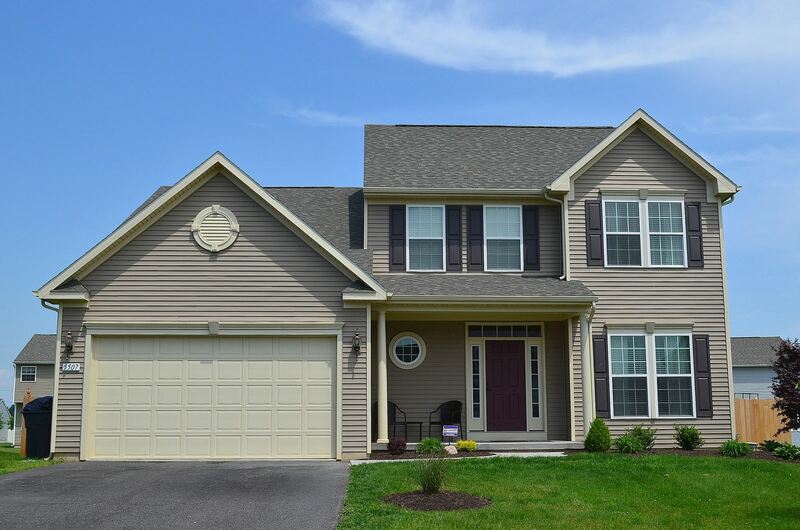 Clay, NY Neighborhood - This 4 Bedroom 2.5 bath Colonial is located in the popular "Lawton Valley" neighborhood which is close to schools, parks, shopping, and major highways. First Floor Features - The first floor features a spacious entry, a formal dining and living room, a gourmet kitchen with solid surface counters and stainless steel appliances, a bright sunroom, a family room with a fireplace and lots of windows, and a half bath. Second Floor Features - The second floor provides an expansive master bedroom with a luxury master bath, a laundry room, another full bath, and 3 other bedrooms. Exterior - The exterior offers a fully fenced yard and a 2 car garage. Click Here Now to Watch More Videos on You Tube! Clay New York Neighborhood - This 3 bedroom Colonial is situated on a premium wooded lot located in the popular "Estate of Lawton Valley" neighborhood. It is centrally located to schools, shopping, and major highways. First Floor Features - The first floor offers a large eat-in kitchen with hardwood floors and abundant cabinet and counter space, a bright sun room with hardwoods, a formal dining room, a 2 story family room, a large laundry room, and a half bath. Second Floor Features - The second floor offers a spacious master suite with a walk in closet, a master bath, 2 other bedrooms, and a full bath. Exterior - The exterior provides a 2 car garage, a deck, and a private backyard. There a several new home opportunities in the town of Clay NY. Typically it takes about 4 to 6 months to build a new home in this area. Builders such as Ryan Homes is able to construct homes faster due to the panelized wall system as the homes are not "stick built" on site. 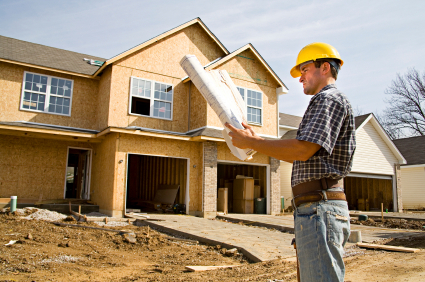 There are benefits of each builder in Clay New York. For instance, some builders use a poured foundation and others use block. Do you know the difference? I help many buyers each year achieve their dream of a new construction home. I understand the building process and the pros and cons of each builder. So, BEFORE you SPEAK to any builder especially Ryan Homes, please give me a call and I will inform and educate you about each builder and save you the most money on your next home in Lawton Valley Hunt in Clay. My services are FREE and I represent the interest of each buyer, NOT the builder! Again, call me and I will save you time and money on your next new construction home purchase. 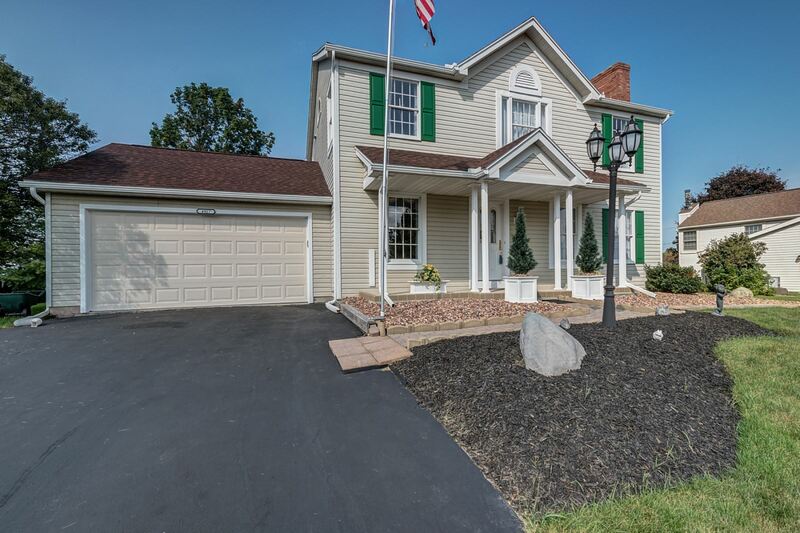 Clay New York Home For Sale - http://www.CNYAgent.com - Contact Bob McTague at 315-882-6610 – 5483 Bingley Lane Clay New York – Welcome Home! 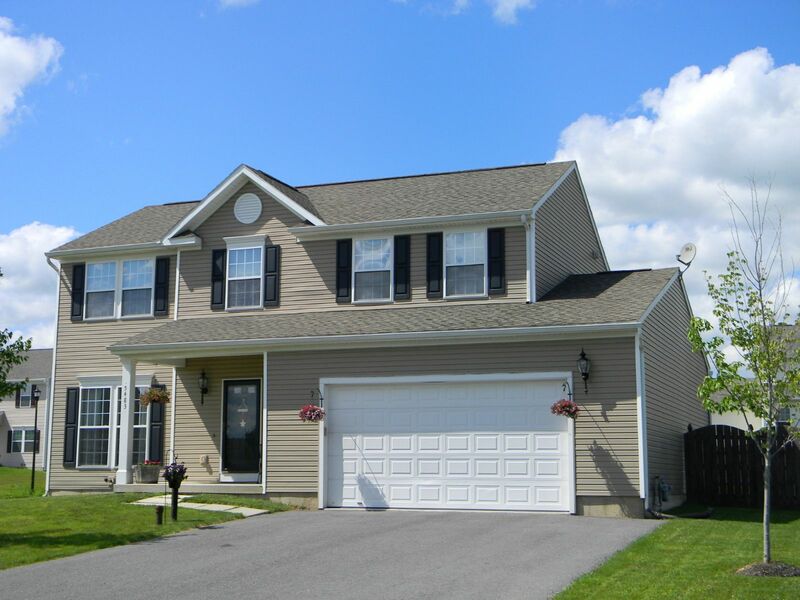 This 4 bedroom, 2.5 bath Colonial is perfectly situated on a corner lot in the desirable "Lawton Valley" neighborhood. The first floor features a formal living and dining room with hardwood floors, an eat-in kitchen, a bright sun room, a large family room, and a half bath. The second floor offers a master bedroom and master bath, another full bath, two other good sized bedrooms, and a bonus room/fourth bedroom option. The exterior provides a large fully fenced back yard for outdoor enjoyment. Newly built in 2006, this home is one of the best values for newer construction. Call today! Updated 3 bedroom home located in the desirable "Kimbrook" neighborhood. Functional second floor plan includes a spacious living room, eat in kitchen, 2 bedrooms, and a full bathroom. The lower level features a cozy family room or 3rd bedroom, office/flex space, and laundry area. The exterior offers a large and private backyard and a deck. Centrally located within the Baldwsinsville school district. Close to shopping, parks, and major highways. Great opportunity! Call today! http://www.CNYAgent.com – Contact Bob McTague at 315-882-6610 – 8256 Trevi Lane, Clay, NY – Welcome Home! Looking for affordable living? This two bedroom townhouse is the perfect match for a first time home buyer or the smart buyer that wants an easy and low maintenance lifestyle. Located in the desirable "Cherry Estates" subdivision, which is centrally located to schools, shopping, parks, and major highways. The first floor features a kitchen, family room, and half bath. The second floor offers two spacious bedrooms and a full bath. Recent major updates include a roof and siding. Plenty of storage in the basement. The exterior provides a shed, private backyard, and a deck. Great opportunity!